In 5 years, Denmark cut its food waste by 25%. 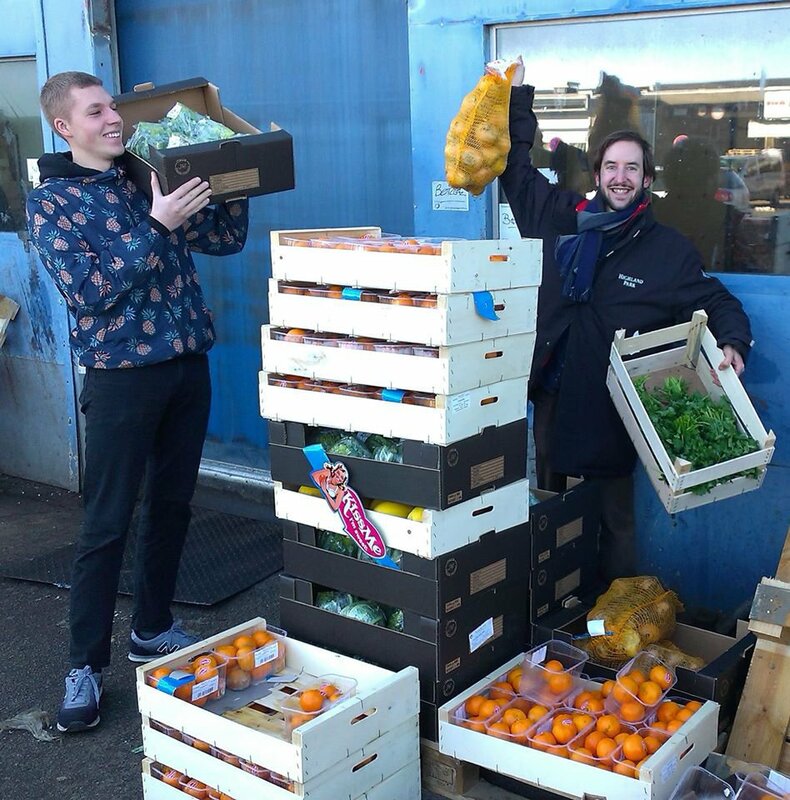 A new grocery store in Denmark, WeFood, is only selling food waste - and people are lining up around the corner to open their wallets and get some. This might sound weird, but it isn't when you unpack the term "food waste." Most food waste is perfectly edible. For instance, if white rice is mis-labeled basmati rice, it's food waste. If a vegetable is misshapen it's food waste. If a cereal box has a tear, food waste. A can with a ripped label also food waste. A bruised fruit, yup, food waste. All of this "food waste," along with the food that actually spoils because of bad distribution, accumulates around the world in landfills, growing to an estimated 1.3 billion metric tons annually. This food could feed everyone on Earth, ending world hunger. Instead, food in landfills takes up space and contributes to greenhouse gases. The Danes are disgusted by this and have made efforts to stop it. In the past 5 years, Denmark has cut the amount of food wasted by 25%--or 35 pounds per person per year. WeFood is just the latest effort. It might seem brazen to outsiders, but the store is attracting a lot of customers. And not just people living frugally. In the past, stores selling food waste were marketed toward the poor, but WeFood is trying to avoid that narrow description. They think food waste should be consumed by all--even royalty. In fact, a Danish Princess was there for the opening. Other world leaders are making similar statements. At the UN General Assembly last September, for instance, meals made from food waste were served to diplomats. And Denmark is not the only country making strides to eliminate food waste. France just banned all grocery stores from throwing away food. Instead, they have to give it to food banks or other charities. Ultimately, though, the problem of food waste will only be solved if everyone makes a conscious effort to not waste--this begins with producers and ends with consumers. Celebrating forsaken food is a good place to start.